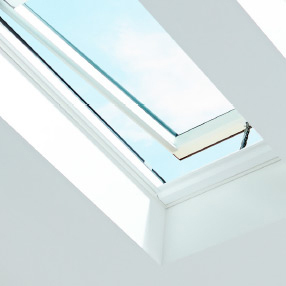 The VELUX VCE 4646 electric powered skylights brings fresh air and light into your home with the push of a button. The electric skylights do require wiring and more commonly installed in new construction applications or in applicatins where access to run wiring is easy. If you don't have easy access to wire the unit consider a VELUX solar powered skylight instead. Included remote control allows you to open and close as you please. All this while increasing light in your home and having access to fresh air as you please. What happens if it rains? Won't all of my stuff get wet? No way! 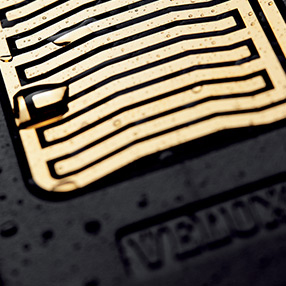 All VELUX Electric Skylights come equipped with a rain sensor that will automatically close the unit as soon as it detects any rain. Get it, Install it, Enjoy it. 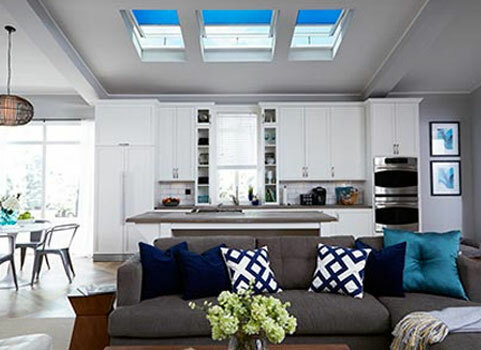 VELUX Electric Skylights are made to bring in light and fresh air to otherwise dark, non-venting locations in your home. They come with a 10 year warranty on product and installation to keep your mind at ease and will have a wonderful. Talk to your local conractor for sizing and installation costs . In addition to the circulation benefits you'll also get to fill your space with natural light and a new feeling of openess. 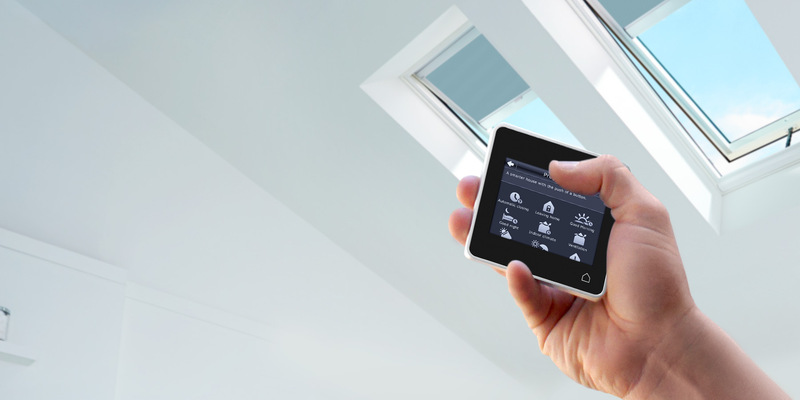 Included with your Electric “Fresh Air” skylight is the intelligent touch remote control powered by VELUX INTEGRA®. 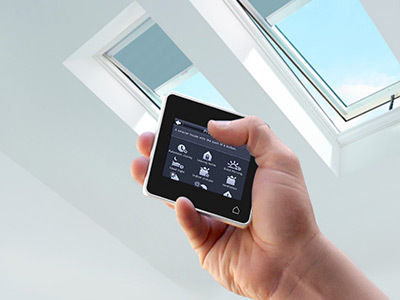 With the touch sensitive screen and easily understood icons, programming skylights has become simpler than ever. Factory pre-finished white frames and sashes provide for a high-quality finish that eliminates the need for secondary high-cost trips by a painter. 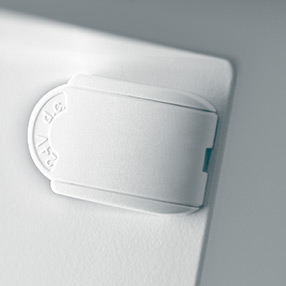 A sunscreen accessory tray for standard site-built curbs allows for installation of VELUX Pick&Click!™ blinds. At the first sign of rain, the skylight will close automatically, while the ventilation flap stays open and continues to ventilate the room. VELUX Electric "Fresh Air" Skylights are available in the following size ranges. Your installer will help you determine the exact size needed for your space. Installation costs will vary according to the number of skylights and your ceiling type. These price ranges are for installation of a new, single skylight, including labor for interior and exterior finish work and for replacing an old skylight. Consult an installer in your area to obtain an exact cost estimate for your daylight renovation. 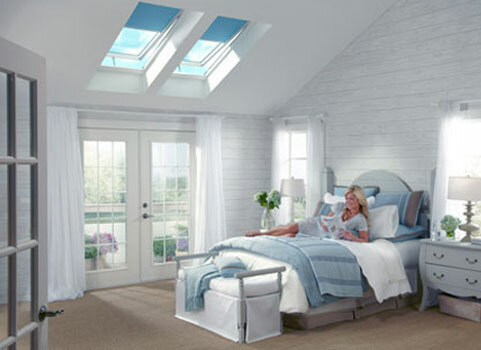 Daylight Skylights come with the No Leak Promise, a 10-year warranty on product and installation. 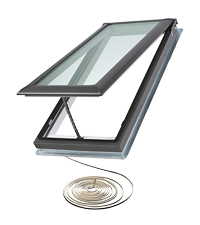 Below is a video outlining the installation procedures for a VELUX curb mounted sklightlight. If you have specific questions about installation or sizing please call or email us with questions. Our normal response time within just a few hours.